Clean-note is a template created with bootstrap the most popular HTML, CSS, and JS framework. 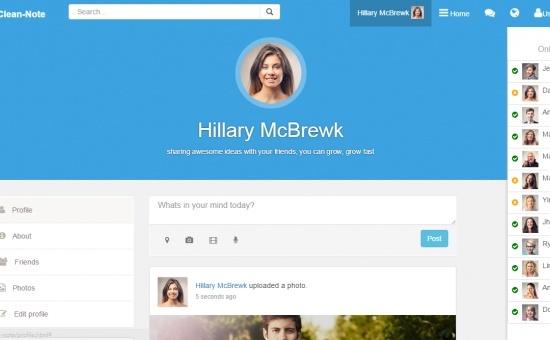 You can use this template to develop a social network website. This social network template offers many of the features required by any of the social network, such as Facebook. This template is easy to modify and includes many tools that you can use for the development. It is compatible with desktop, tablet and mobile.